Yum, it's dinner-time! The Mealtime Set includes everything you need for a large baby doll's dinner: a catch-all bib, a biscuit, a glass, a plate, a spoon and a lunch-box to keep it all in. 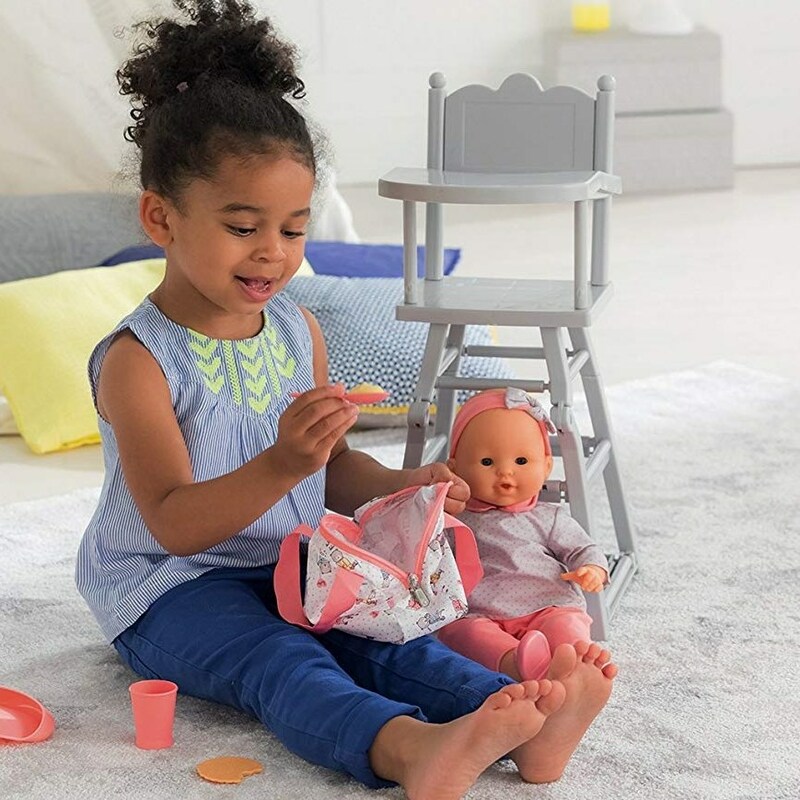 Large baby dolls have a wide collection of clothes and accessories in the mon grand poupon Corolle range so that little ones can enjoy caring for doll like real parents. Ages 2 and up.